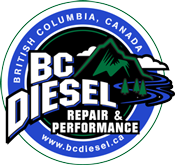 At this time, bcdiesel.ca only processes and ships orders for Canadian customers. Unfortunately, we currently cannot accept US or International orders. We apologize for any inconvenience. We offer FREE GROUND SHIPPING up to a maximum freight cost of $75. Customers will be charged for any fees exceeding this amount. You will be contacted prior to shipping with a request for billing information or alternate arrangements if required. Read our Shipping Policy HERE for more information.